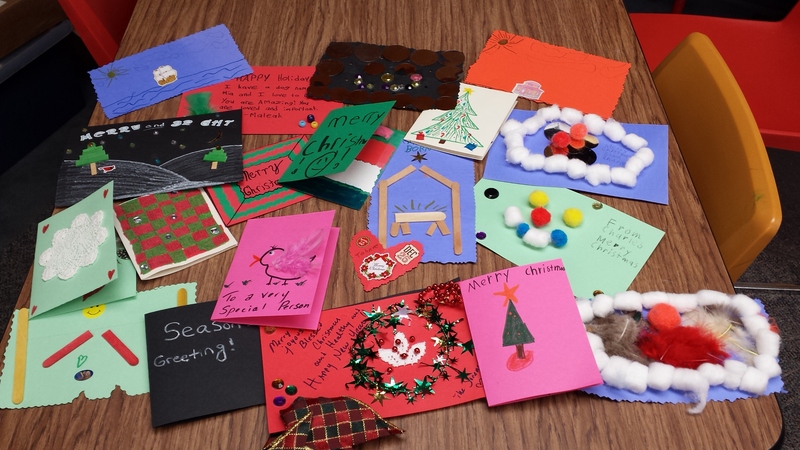 Our holiday card making activity was a success! We sent out over 80 cards today that will brighten the holiday season and provide encouragement for nursing home residents, children in the hospital, veterans, and children in foster care. Check out all the beautiful and creative cards that we made!